Here I was: Sporty, within normal weight range, and mood swings that were normal enough, for a 20 something woman! So from the outside, it looked like I was a pretty healthy person. BUT, I’d been on the hormonal pill, Dianette, since I was 14 years old. At 19 I went on Roaccutane, a medication to help with acne that is quite controversial in terms of side effects and depression. Over a decade of being on the pill and acne treatment and my skin was still my biggest body hang up. It made me self-conscious, unwilling to go out and knocked my confidence. Something wasn’t right, and my body was trying to tell me! But what could I do? I was trying everything to treat the symptom – acne. But what about the cause? Well I seemed to just ignore that! I always knew that there was a link to sugar and skin, but to be honest I didn’t want to accept it. I had friends who ate ALL the sugar and had the most beautiful skin. So why would it be what is affecting me? It wasn’t until I trained at the Institute for Integrative Nutrition that it really hit home that EVERY BODY IS DIFFERENT. In the same way my body wasn’t as predisposed to hold on to fat, perhaps my body was more prone to allergic reactions, rashes and skin inflammation as a result of food sensitivities. At the end of my tether in 2015, I went to the Doctor again, and having done some research of Polycystic Ovary Syndrome (PCOS) and how it can relate to acne, I wanted testing. A blood test and an ultrasound later confirmed it – I had cysts on my ovaries and excess androgen activity (male hormones). The diagnosis was clear, PCOS. But the treatment? I was told to stay on the pill and that was that. My doc said usually they’d tell people to lose weight, but seeing as I wasn’t overweight, that wasn’t important for me. (I’m a big fan of the health care system, but this was a big failing in my opinion). So I stayed on the pill, took some antibiotics just for good measure (which isn’t good measure at all when thinking about your gut! ), and cracked on with life, with my skin flaring up in peaks and waves. After being on some kind of hormonal pill/injection for the best part of 15 years, at the end of 2016 I decided it was time to let nature run its course, stop treating the symptoms and start exploring the cause. I came off the pill (and instead switched to the copper IUD), and yep, my skin got worse. Also, my periods were extremely irregular, and I realised what an impact years of the pill had had on my body. I had never given my hormone pathways the chance to develop. Had I unwillingly caused long term damage? 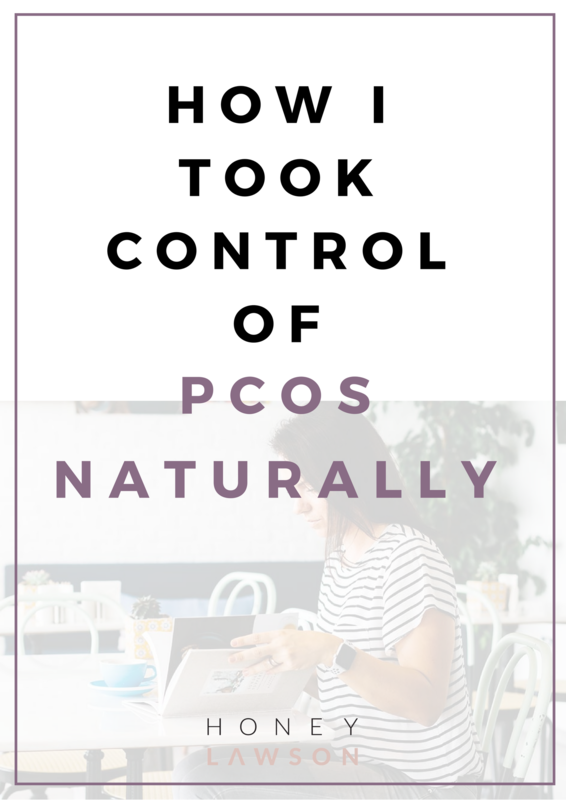 I researched PCOS; causes, symptoms and how to heal, and SO MUCH information was there, that I couldn’t believe my doctor had told me NOTHING! I realised just how serious the implications could be – amenorrhea (the absence of periods), difficulty conceiving, higher chance of miscarriage. I needed to start taking some action towards ensuring I was not making things worse. Before taking medication or supplements, I wanted to see if I could make a difference with the food I was eating. A self-proclaimed sugar monster, I knew I was eating well over the World Health Organisation’s recommended daily sugar intake (FYI 24g). Maybe my high level of activity (and perhaps a fastish metabolism) was hiding an insulin resistance issue? But because I’d never considered myself unhealthy (based on weight and BMI – ditch the scales people! ), I hadn’t thought this might be the case. If insulin resistance isn’t making me fat, does it matter? Insulin resistance has been linked to higher levels of testosterone. And it’s these excess androgens that could be contributing to my PCOS. Which means… I could be making it worse without even realising?! Shock and horror. Time to make a change. It was all down to dietary changes. I knew excessive carbohydrates and constant snacking would be playing havoc with my blood sugar. So I needed to change my beliefs about ‘needing’ to snack on carbohydrate heavy foods every few hours, and actually eat to fuel my body well, to nourish it and to satisfy it! I also decided to follow an intermittent fasting protocol, but that’s for another day! For the first time ever, I actually started tracking my period (you never need to do this on the pill, it’s all done for you by fake hormones and you know when it’s coming!). I used the Clue app (and still use! ), and was shocked to realise how irregular and spaced out my period was. But now, when I see the regularity coming back and a normal flow resuming, I know the efforts with my diet were worthwhile. In order to get really in tune with my body, I realised my activity levels needed to ebb and flow with my hormones. That meant not going for a 10km run on the first day of my period, but instead incorporating some restorative practices like Yoga and meditation into my activity plan. Now this is when I get a little bit spiritual. But from speaking to many other women with PCOS, I know this may well ring true. PCOS is the result of a hormonal imbalance. A hormonal imbalance that is too high in male hormones. To ovulate is wonderfully and uniquely feminine. And for some of us, perhaps, striving to be dominant in a male environment has caused us to adopt masculine characteristics, which could have made signals to our body. Whether or not this can actually have an impact on the hormones we produce is yet to be proven, but in the mean time I am making more of an effort to embrace my femininity, seek out the moon (connected to the female cycle), and enjoy adding more yang to my yin. Currently I still rely on my diet, with some natural supplements and essential oils, to try and manage my PCOS, and my skin has seen drastic improvements. But as I continue my journey I’ll share with you everything else that I’m trying, the science behind it, and whether or not it has an impact on me. So stay tuned for more! I realise there must be so many women who have a similar story to tell, and this saddens me. We need to take the power back into our own hands, and make the changes that will help us become truly fit for our purpose, whatever that may be, without letting PCOS hold us back. Don’t make any drastic changes just yet! But pay attention to what you’re eating, and if you realise it is pretty sugar and fast release carb heavy, then start making adjustments and up your protein, healthy fats and complex carbohydrates. Ultimately, we’re trying to cut out those pesky added sugars! See just how out of balance your hormones are by tracing your flow. As I said above, my favourite app to make this easy for me is Clue. A regular menstrual cycle is around 28 days, with menstruation lasting between 4-7 days. 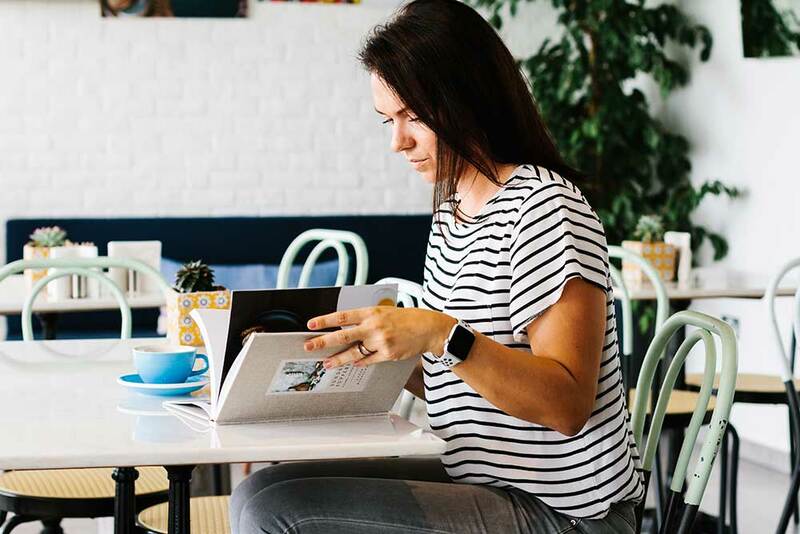 Physical activity is good for so much more than PCOS, but it also has great effects on insulin sensitivity, balancing hormones and your mood. So even if it’s just ten minutes of walking a day, schedule it in! If you have recently been diagnosed and are struggling, or you’re a long term sufferer but weren’t sure what to do about it, then feel free to get in touch and let’s see if I can help you take a hold of your PCOS like I did. WANT TO FEEL AMAZING NOW?